As a city, Boston is influenced by its rich history and its modern innovation. This extends to the local media, where both established publications and new, digital-first outlets cover the startup world. See any key outlets or journalists who are missing? Submit them here! Want to get the scoop on what’s new in Boston’s innovation as soon as it happens? Get the truth directly from those who write about it every day. This ever-growing list contains Boston’s journalists covering innovation. In addition to being a great all-around tech resource for Boston, BiB has up-to-date topical news on the movers and shakers in Boston's tech community. It is complimentary to more in-depth financial sources such as Xconomy. The Globe's Business section is one of the oldest and best sources for metro area business and tech information around. The Globe-run tech-focused blog "Beta Boston" has been absorbed into the front page of BG Business. Run by Keith Cline, a top local recruiter, VentureFizz provides both original and syndicated content, as well as several other products like BizzPages, event listings, and a dedicated Boston tech job board. Their running log of local funding and acquisition announcements is a must-read. Operating under parent brand American City Business Journals, local favorite BostInno provides tech news and several pillar events. Their daily newsletter update, The Beat, is a must-read for anyone looking to get a look at moves, raises, and general information on Boston innovation. The local arm of American City Business Journals provides regular tech coverage and is perhaps best known for its annual list of the best places to work in Boston. Like the BBJ, this is a local version of a national media outlet. Xconomy’s Boston property also organizes regular events for the tech community. 90.9 WBUR-FM is Boston's NPR news station and the home of nationally syndicated programs which reach millions of listeners each week on NPR stations across the country and online. WBUR provides listeners with thorough coverage of local, national and international news from NPR, Public Radio International and the BBC, in addition to its own locally produced content. A local NPR member station, WGBH provides a huge range of programs, covering everything from daily journalism, to science, to history. Produced in Boston, shared with the world. Their site has a wide variety of content, making it a great source for anyone looking to get the lay of the land. MIT Technology Review is first to report on important new technologies that will affect your organization, your career, your life. Reporting on important technologies and innovators since 1899, with the backing of the world's #1 technology institute. NECN, the New England Cable Network, has some of the best regional coverage for New England. In addition to daily coverage, they have multiple programs interviewing executives, profiling startups, and evaluating products. The Herald is one of the oldest newspapers in the country, and a core Boston outlet. Starting the conversation every day with passionate journalism, watchdog special reports and the best in NE sports, business and features. as well as the broader startup, digital media, and business landscapes. This discussion-oriented podcast brings in Nobel winners and Silicon Valley CMOs alike to discuss experiences, insights, and strategies. This polished series explores the latest trends in healthcare and the thinkers, organizations, and ideas behind them - and drips with production value. Venture veteran Mike Troiano dives into the issues with entrepreneurs and investors in this fantastic, diverse series. The Early Stage Podcast is devoted to interviewing top entrepreneurs at the Seed and Series A stages of their startups. This project is a deep dive into the initial challenges and breakthrough-driven innovators endure as they launch, raise funding, and grow their teams. HubSpot executives interview others about how they grew their businesses. InsightSquared interviews software executives and thought leaders about how they’re using data and technology to accelerate their company growth. Drift CEO and serial entrepreneur David Cancel and Drift’s Dave Gerhardt tease out key lessons from Cancel’s experience as a founder and rabid learning approach. Hosted by Jay Acunzo, the show shares clever, creative, unusual, and scrappy ways that founders make early progress. The show is produced as a narrative story. Innovation Hub looks at how to reinvent our world – from medicine to education, relationships to time management and more. VentureFizz founder Keith Cline interviews and profiles some of the most interesting founders, investors, and personalities in tech. Anyone hoping to break into Boston tech or simply keep up with all the happenings around the ecosystem can rely on these resources to keep their ear to the ground.  The NEVCA is a network, a catalyst, an advocate, and a resource – working to make New England the best place in the world to start, grow, and invest in companies. Keep an eye on their calendar for a curated list of the best events Boston has to offer. A longstanding resource for Boston entrepreneurs and students which was originally launched by entrepreneur Jason Evanish. The Capital Network recently took over daily operations and provides events, newsletters, and more. Built In Boston is one of the best resources for techies and entrepreneurs in the Boston ecosystem. With events, company profiles, and actively updated job listings, you can't find too many resources in the Boston area that offer this much value. Consider it a Boston specific version of Glassdoor, Crunchbase, and Medium all rolled into one. The official website for Boston Blockchain Week has lists of key people, events, and resources for anyone interested or involved in the blockchain space. Includes a breakdown of all the key players in Boston’s blockchain ecosystem.  Designed for seed-stage founders as a resource to guide them through the rocky beginning of a startup, Better Everyday is full of stories, analyses, and resources authored by NextView Ventures. An in-depth look at This Week in Business in Boston. On Sundays at 10 a.m. and 11 p.m. on NECN. This program has some of the best coverage for the daily issues, both local and national, that have ripples in the Boston community. In-depth interviews with some of the region's top CEOs and business leaders on their work and their lives. Sundays at 10:30 a.m. and 11:30 p.m. on NECN.